Gwen Stefani replaces her ring for a sleek and edgy alternative. 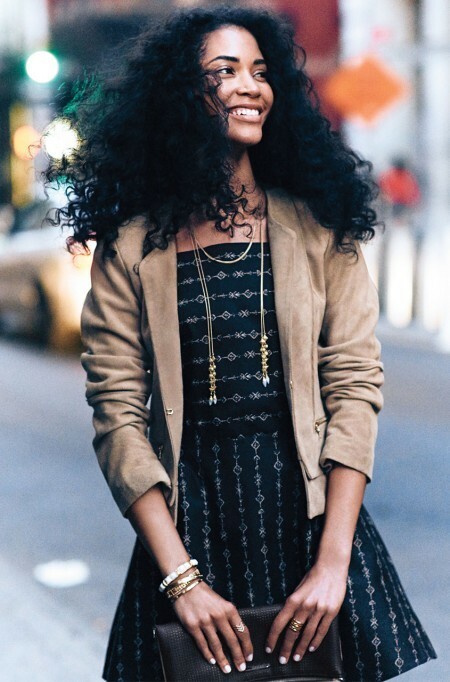 The Stella and Dot Brynn Lariat Necklace is one of the hottest pieces from Fall 2015. This necklace is an easy going piece that can be worn open long or tied. It comes in both silver and vintage gold. I must say I really enjoy watching Gordon Ramsay’s cooking show called Gordon Ramsay’s Ultimate Cooking. It is a completely different side of him from his other cooking show Hell’s Kitchen. He includes his children in the show who are a delight to watch. 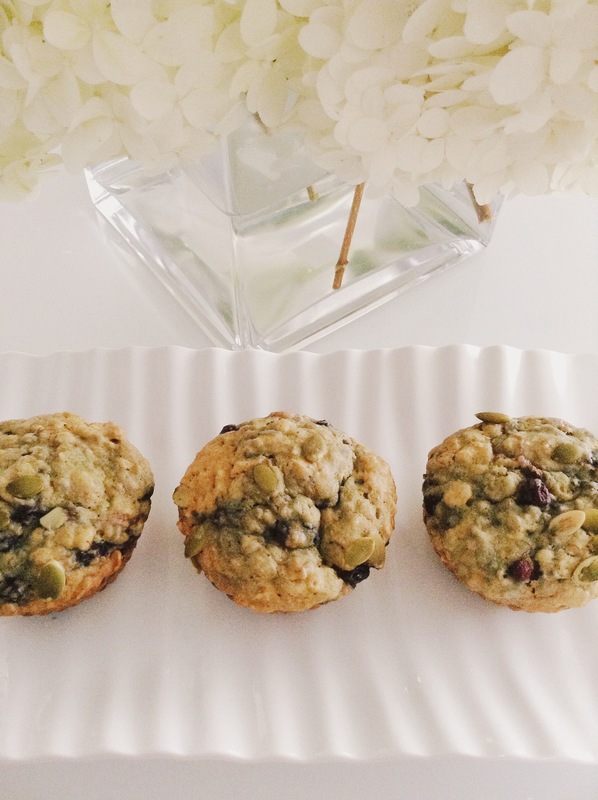 This muffin recipe was inspired by him. 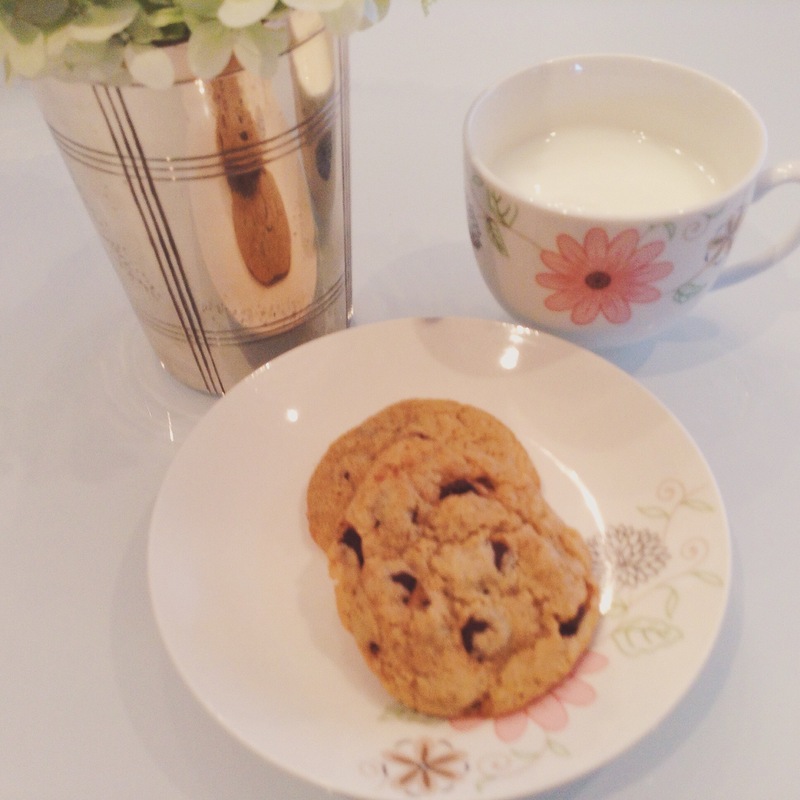 I added spelt flour to the recipe and used milk with lemon juice instead of buttermilk. I also spilt the batter in half and added chocolate chips because not everyone likes blueberry muffins. Pre-heat oven to 350 degrees. 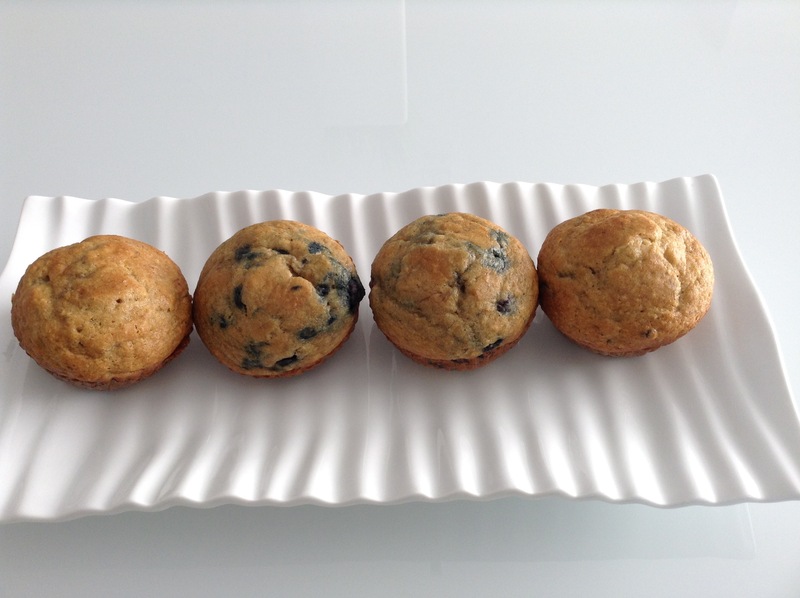 Line a 12 cup muffin tray or use the silicone muffin cups. Mash bananas with a fork and set aside. In a bowl mix flours, baking powder, baking soda, salt and sugar. Make a well in the centre and add milk, egg, oil and bananas. Mix until incorporated. Fold in blueberries and scoop into muffin cups. Bake for 25 minutes or until golden on top. Cool for 5 minutes and then transfer to a cooling rack. Enjoy! 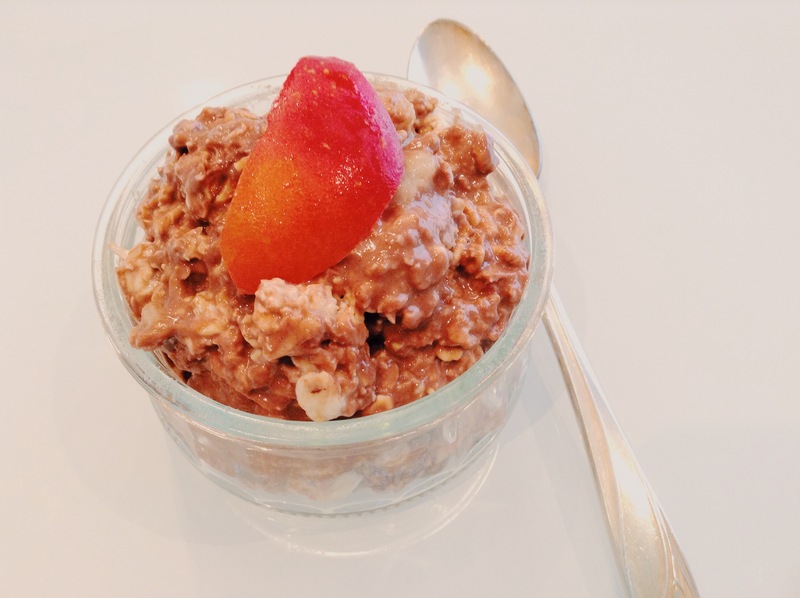 This is a quick and easy breakfast to prep the night before. Oatmeal in a jar. You can warm it up in the morning or eat it cold. Both ways taste great! My older daughter found this recipe from Kimberly Gordon’s blog called ilovewildfox.com. She’s just a little obsessed with the line!! Mix all ingredients together in a bowl and then transfer to a mason jar. Place in the fridge overnight before eating. You can add any toppings to it like fresh berries or have it plain. Enjoy! 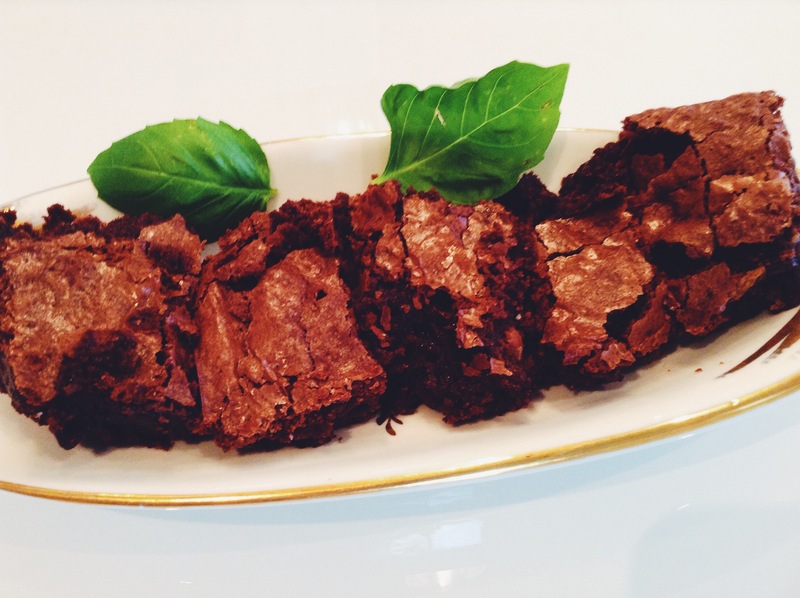 This brownie recipe requires very few ingredients which always makes things easy when you’re trying to make a quick sweet. I used half coconut oil to make them a little healthier. Pre-heat oven to 350 degrees. in a microwave safe bowl melt oil, butter and chocolate chips on medium for 1 minute. if still not melted try another 30 seconds. Let cool for a few minutes. Mix in sugar and eggs. Whisk in flours, unsweetened cocoa and sea salt. Add in chocolate chips and pour batter into 9X12 sprayed baking pan. Bake for 25-30 minutes. Let cool before cutting. Enjoy! The Fall 2015 Stella and Dot Collection is officially here and it looks fabulous! Here are some of my favourite pieces. Summer Baking Fun. My younger daughter and her friend decided to bake some cookies from scratch. They found a simple recipe which turned out delicious. Lots of chocolate chips and chewy texture. Very proud of her baking skills. Pre-heat oven to 350 degrees. Line tray with parchment paper or use a silicone cookie mat. In a small bowl microwave butter for 20 seconds. In a separate bowl mix butter and sugars together until creamy. Add egg and vanilla and mix until blended together. In the same bowl add flour and baking soda. Mix until the batter turns into a ball. Take batter out of bowl and add chocolate chips. Use a teaspoon to form small balls. Place on cookie sheet and bake for 10 – 12 minutes. Let cool for a few minutes and then transfer to a cooling rack. Enjoy! I hope you have been enjoying your summer and having a chance to spend time with your loved ones. I had the opportunity to visit family for the last few weeks. It was nice to see everyone! My latest muffin recipe I found was from a blog called My New Roots. All her recipes are plant-based. I did change some of the ingredients to add more moisture to the muffins. Pre-heat oven to 350 degrees. Spray a 12 cup muffin tray or use silicone muffin cups which are re-usable. I love using them. In a bowl mix flours, rolled oats, baking powder, baking soda and sea salt. In a separate bowl mix orange juice, milk, coconut oil, pure maple syrup, sunflower butter, orange zest and mashed banana. Mix wet ingredients into dry ingredients. Do not over mix. Combine blueberries with a wooden spoon. Scoop into muffin cups. Sprinkle seeds on top and bake for 25 minutes or until firm to the touch. Take out of oven to cool for 5 minutes and then transfer to a cooling rack.